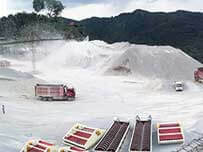 Tailings dewatering is a new type of tailings dry heap treatment, which usually adopt dewatering equipment to fully extrude the tailings slurry discharged from the ore dressing into dry flaky tailings cake, and then transport to the tailings dry yard for layered stacking by belt conveyor. After treatment, the concentration of tailings slag can reaches 80% or more. This treatment has become a trend in mines to treat tailings. Cyclone can strengthen the solid-liquid separation, and can be widely applied in the tailings concentration dehydration process because of the simple structure, low cost, small floor space, large processing capacity and high underflow concentration. But it is difficult to obtain a clarified overflow by using hydrocyclone alone. The combination of gravity sedimentation and centrifugal sedimentation can combine the advantages of both, which can improve the speed and efficiency of tailings concentration and ensure the clarified overflow. 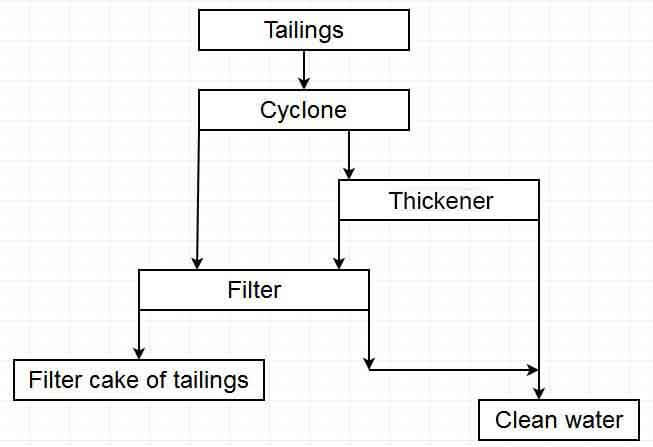 The tailings are pumped into cyclone, and the cyclone overflows into the conventional thickener for the concentration of fine-grained particles. 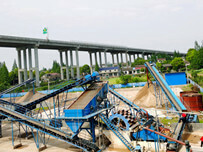 The bottom of thickener is a concentrated concentration of fine-grained tailings, and the cyclone is sanded and dense. After the bottom flow of machine is merged, it enters the filter and is filtered to become a tailings filter cake; the thickener overflows into clarified water and returns to the production circulating water system. In the process flow, the tailings produced by the ore dressing are fed into cyclone through slurry pump, the grit of cyclone is fed into the horizontal belt vacuum filter, and the cyclone overflows into the deep cone type thickener; the bottom flow of the thickener is fed. The vertical filter press dewatering, the thickener overflow, the horizontal belt vacuum filter and the vertical filter press filtrate are combined and returned to the production circulating water system, and the final product tailings filter cake has a moisture content of less than 20%. The tailings produced by ore dressing are fed into the peripheral transmission type thickener or the inclined plate type thickener. 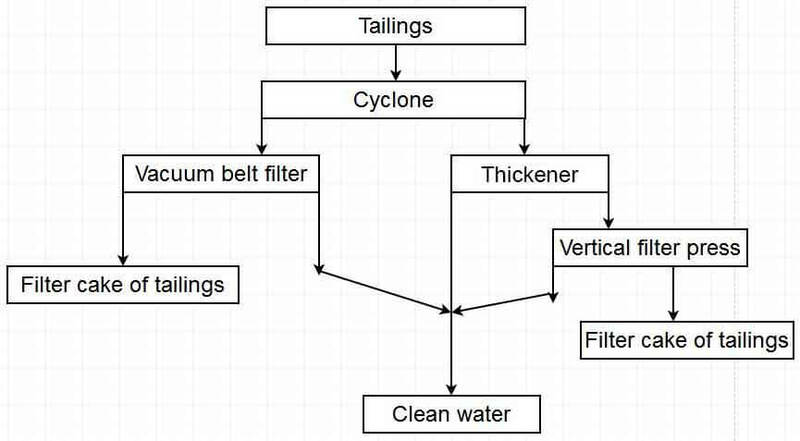 The bottom of thickener is fed into cyclone, and the cyclone is sent to the horizontal belt vacuum filter for dewatering, the cyclone overflow and filtrate of filter. The merger returns to thickener feed to form a closed circuit. The thickener overflows into clarified water and returns to the production circulating water system; the final product filter cake has a moisture content of less than 20%. This process is suitable for dry storage of tailings in small concentrators. The tailings produced by the ore dressing are pumped into cyclone, the cyclone sinks into the high frequency vibrating dewatering screen, and the cyclone overflows into the deep cone type thickener; the desiccant screen is used as the construction sand and the sieve The product is returned to the cyclone feed to form a closed circuit; the thickener overflows into clarified water and returns to the production circulating water system. 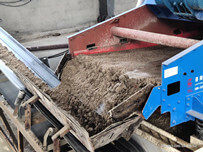 The bottom of the thickener is processed by the filter press to become the tailings filter cake; the product on the dewatering sieve is 15% water. Left and right building sand. 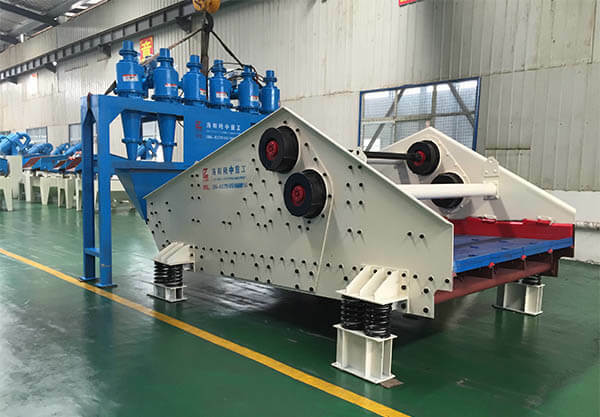 The process fully utilizes the high-frequency vibration dewatering screen with large processing capacity and good dewatering effect, so that high-concentration construction sand can be obtained, and the processing capacity of the system can be improved. 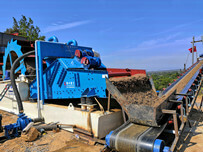 The thickener and filter press cooperate to improve the tailings as a whole. Concentrated dehydration efficiency reduces the moisture of the tailings.